Seats 6 Passengers. 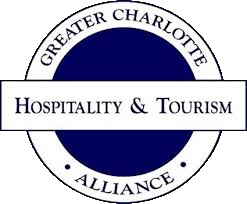 The latest Corporate transportation, and is ready for top executives, celebrities and high profile clients traveling in and out of Charlotte for sporting, entertainment and business events. Equipped with AM/FM Premium Stereo with 6-disc in-dash CD and clock, DVD Rear seat entertainment system, Power windows and door locks. Black leather seats and carpeting, celebrity tinted windows and climate/audio/video controls in the middle and rear seats. The Storage space in the rear provides plenty of room for luggage and personal items.